The commencement dates of all the other courses will be declared on 2nd July 2018 [ Monday ], only if sufficient numbers of students are enrolled. Admission List for Short Term & Long Term Courses announced. The admission date for ALL the Courses have been extended to 9th July, 2018. After filling the form online, Please submit the printout of the form at the Centre office. The admission dates for ALL the Courses has been extended till 22nd June 2018. The admission lists will be declared on 27th June 2018. The Centre conducts the classes on self-finance basis, therefore, the course commences only when enough number of students are enrolled. The Timings and Venue of the courses will be declared later on. All the Certificates and documents to be attached to the forms should be self-attested. 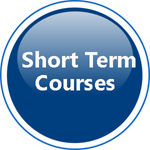 Fees once paid will not be refunded for short term and Long term courses. For Short-term courses, 80% attendance is compulsory for obtaining the certificate. For Long-term courses, 70% attendance is compulsory to appear for the Examination Students are not eligible for ST bus/railway concession pass. Students will not be provided hostel accommodation. The Centre for Life Long Learning is the only eductional institution in the city of Baroda to offer a wide range of inter-disciplinary courses. The centre offers its eductional resources to all age groups. 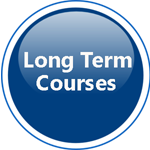 At present, the Centre offers 36 short term and 23 long term courses. All these courses are being taught by over 100 visiting faculties drawn from the Maharaja Sayajirao University as well as experts from outside. Many new courses have been introduced this Year.